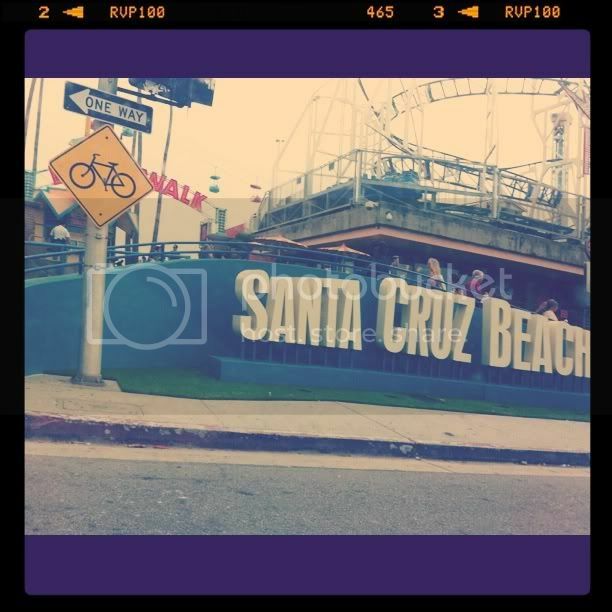 I finally got my wish to go to Santa Cruz and it proved to be just as wonderful as I had thought it would be. We got to the beach around noon, but it was overcast and a bit chilly. The waves were HUGE and there were big warning signs not to go in the water. We picked a nice spot back from the water and got to playing in the sand. Zoe rinsed her hands and feet about 100 times. She kept saying ," There's sand everywhere." Yup. We're on a beach, that's kinda the point! But it was funny to watch anyway. 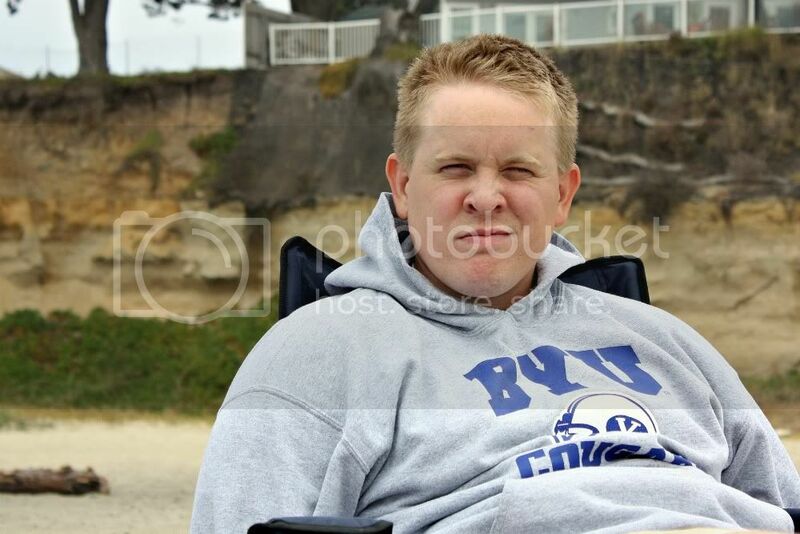 Ryan being awesome. And wearing my his favorite sweatshirt. 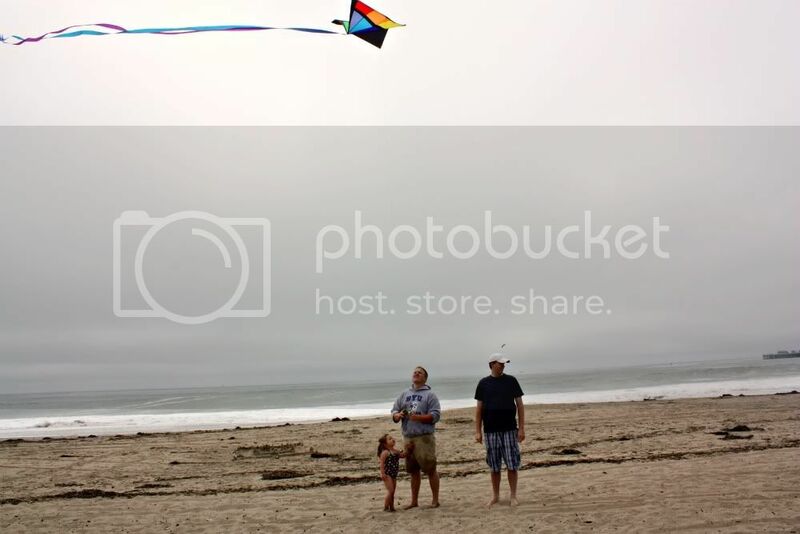 Zoe got to fly a kite for the first time, thanks to cousin Luke for sharing. 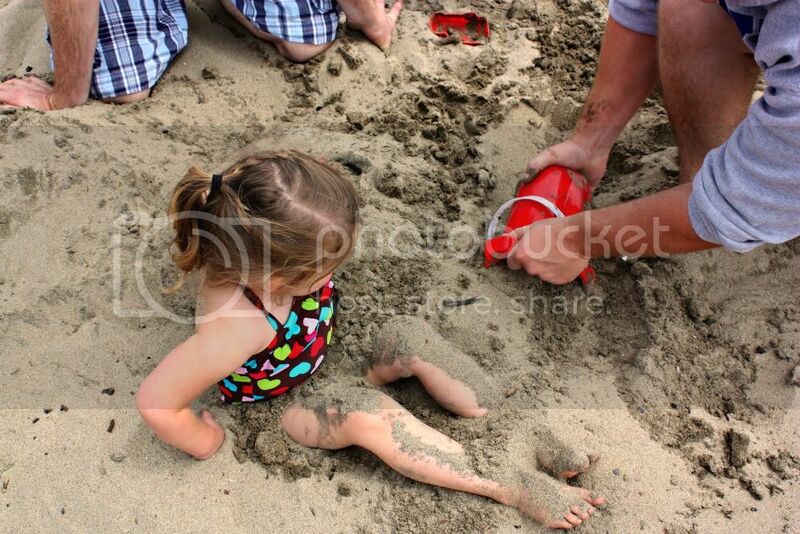 We also got to bury Zoe in the sand, well kind of. We had her almost buried and she got up. Her reason, "There's sand everywhere." We also got to see sailboats and some dolphins off in the distance. 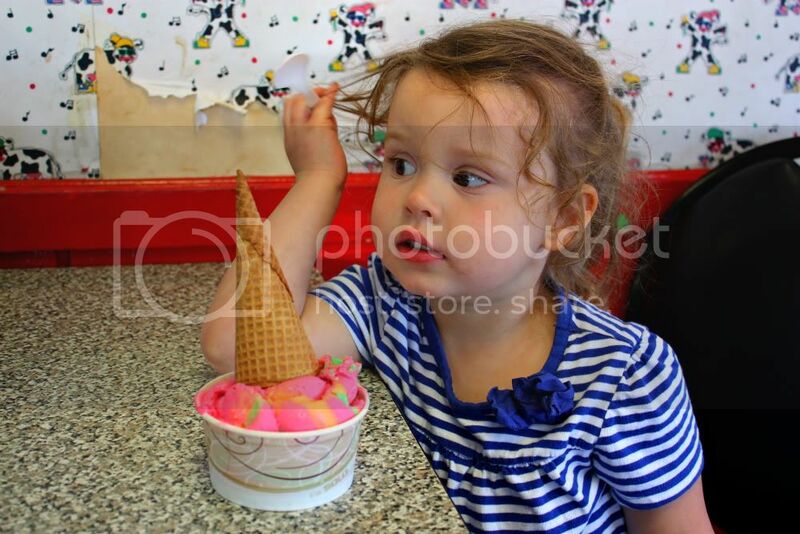 After a few hours on the beach, we left to go visit a local ice cream shop Aunt Jen had been recommended, Marianne's. They boast 75 flavors. Notice the dancing cow wallpaper - Yeah it's awesome! Right about now, my camera decided to die, so the rest of the pictures are from my phone. 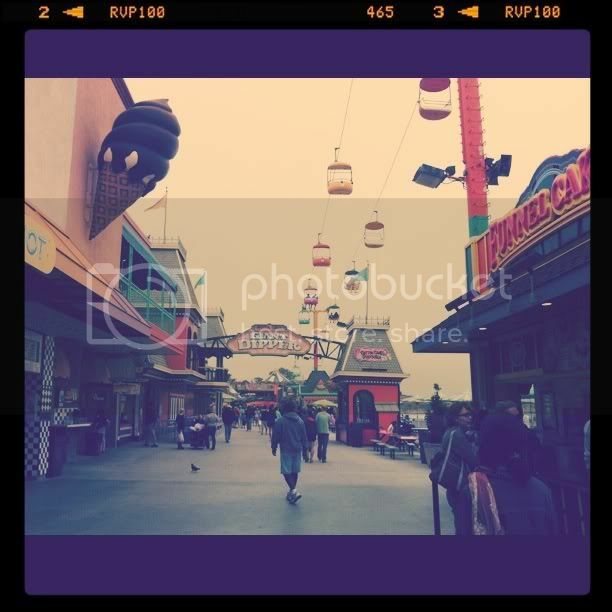 After ice cream, we headed over the to the Santa Cruz Boardwalk for some rides and yummy food. Just before leaving we decided to get some treats. Zoe got her popcorn and I was deciding which decadant treat I wanted to try. And I stumbled upon one of my most favorite things to eat, only available in 2 places that I knew of, Hawaii and Disneyworld. It's the best pineapple tasting treat. ever. If I had known Santa Cruz had pineapple whip, we would have visited a long time ago. Ryan decided on garlic fries, which were also yummy, but a bad choice before a long car ride home. I was regretting tasting the fries when I saw how bad traffic was on the way home. It was a long day, we brought home sand and sunburns, but a great way to end our time in the Bay. Looks like you all had a grand time! 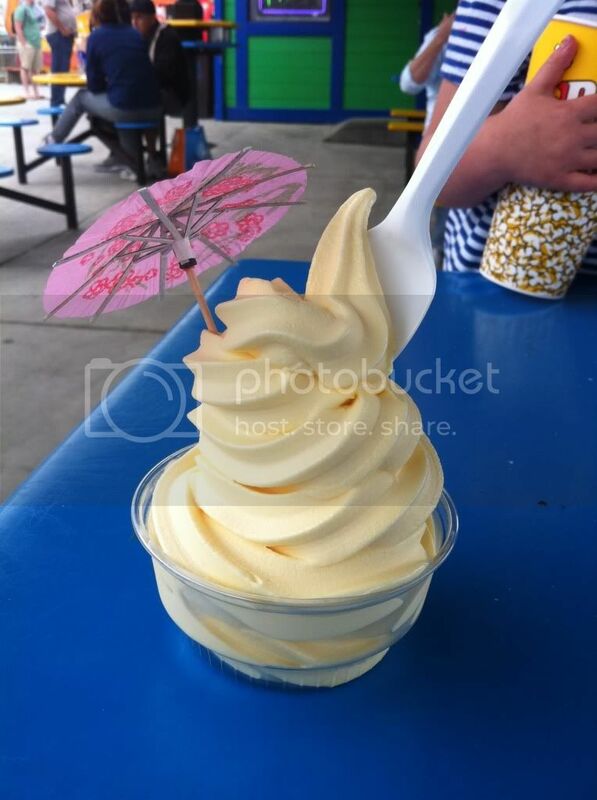 That Dole whip looks delicious! Wish we had stuck around longer to enjoy some with you. Glad that you all could come and have fun! !